A pōwhiri has been held this morning to welcome Department of Conservation (DOC) staff into their new home at Auckland Council’s Te Wharau o Horotiu – Bledisloe House, 24 Wellesley Street. Today on September 10, around 40 staff who have been based at DOC’s Tāmaki Makaurau/ Auckland Regional Office in Parnell, will move into the building. Auckland Council Chief Executive Stephen Town says the move is positive news for both agencies and for Aucklanders. DOC Auckland Operations Director, Andrew Baucke says the new location will further enhance an existing partnership. “With the lease expiring on DOC’s regional office in Parnell we saw an opportunity to build on our collaborative relationship with Auckland Council by moving into Bledisloe House. “DOC and Auckland Council staff already meet regularly, as part of the conservation work we do together, so it’s a real advantage to be in the same building,” says Mr Baucke. DOC and Auckland Council signed a memorandum of understanding in 2011, an agreement to work together to manage Auckland’s open spaces, natural heritage and wild places. Auckland Council General Manager Parks, Sport and Recreation, Mace Ward says this was a platform for many successful projects involving council parks and environmental services staff and continues to be. “Aucklanders and visitors to our region don’t distinguish between land managed by the council or DOC, so it is important that we work together to achieve shared goals in our blue and green spaces. 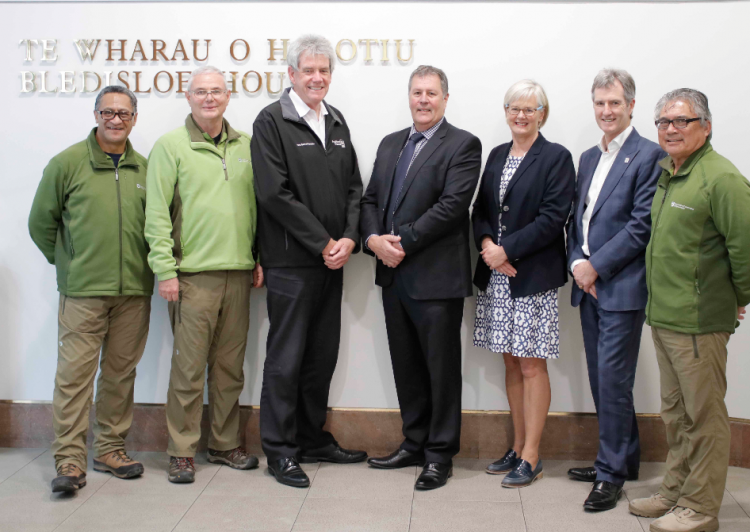 “Co-location will enhance the opportunities where DOC and Auckland Council staff already work together on joint projects, including Pest Free Auckland 2050, initiatives to help prevent the spread of kauri dieback and other biosecurity threats, environmental volunteering, the protection of heritage areas and the promotion of outdoor recreation across the Auckland region.